Different Shades Of Brown originated from Spingfield, Ohio in 1968 before being talent spotted by renowned Detroit producer Clay McMurray in 1971, who in turn secured a recording contract with Motown for them. With Clay as their producer they released two singles on the label which are highly regarded by soul music lovers across the world. An album was also recorded for Motown but it has never been released so far. When the group were released from their contract Clay continued recording them. These recordings were self released by Clay on a CD album called ‘Have A Heart’ in 2006. Amongst these songs were ‘Love Vibrations,’ which was originally 7 minutes and 41 seconds in length. This length would be too long for inclusion on 7″ vinyl so we asked our inhouse producer Difusion to edit the song down to 4.19 minutes of sheer perfection. 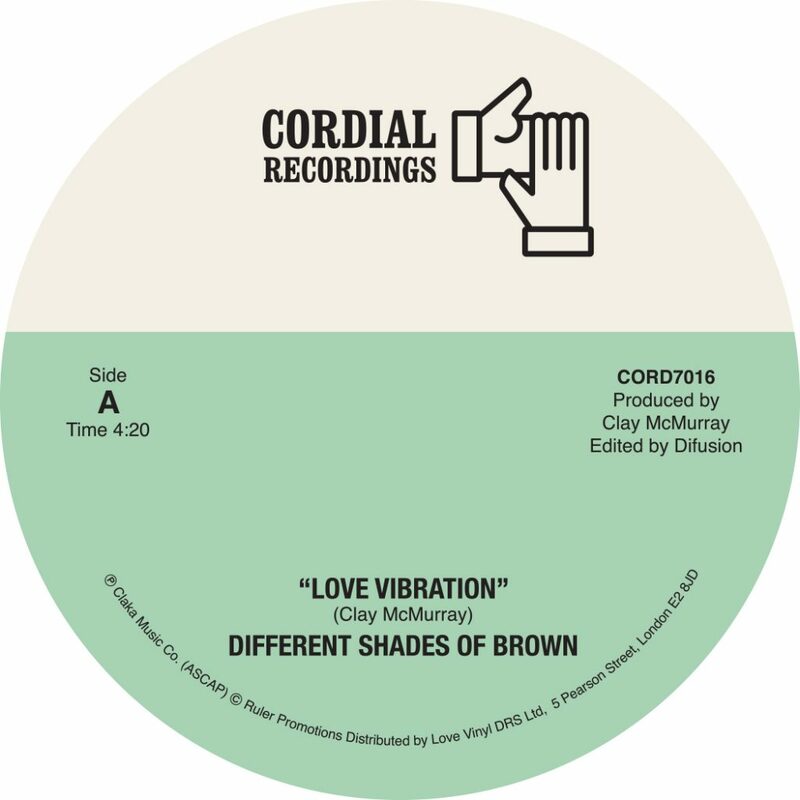 ‘Love Vibrations’ features the wonderful Karen Pree on vocals beside the Different Shades Of Brown.